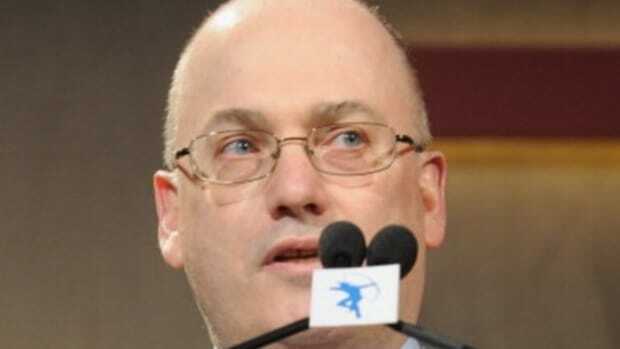 At some point last year, after he had settled insider trading charges against his firm, the hedge fund formerly known as SAC Capital, Steve Cohen began exhibiting signs of man who felt, if not contrite, than contrite-lite. He agreed to rename his company, stripping his initials from all letterhead, fleece, and signage. He started paying employees to not commit securities fraud. And, most significantly, he agreed to only manage the money of people related to him by blood or marriage, returning billions of dollars to investors, and kissing a whole lot of would-be fees good-bye. But now? Possibly/probably emboldened by the December appeals court ruling that knocked his No. 2 nemesis, Preet Baharara, down several pegs and officially made it harder for prosecutors to convict people of insider trading? He&apos;s all but finished playing the part of a guy who feels bad about running a firm described as a "veritable magnet for market cheaters." Not only is he no longer taking orders from Preet, the Feds, of the SEC, but he&apos;s thinking maybe it&apos;s about time he started giving them out. Executives at Point72, the firm where Cohen now manages his personal fortune, are considering asking the U.S. Securities and Exchange Commission to limit any potential ban on managing outside capital to three-years, according to two people familiar with the matter. When the SEC brought an administrative proceeding against the 58-year-old billionaire in 2013, regulators said they would seek to ban Cohen from the financial industry. Some people inside Cohen’s Stamford, Connecticut-based firm have become more confident that they will eventually be allowed to sell money-management services following a court ruling in December that threw out insider-trading convictions of two traders from other firms, said the people, who asked not to be identified because the information is private. On Friday, federal prosecutors in New York asked an appeals court to reverse that ruling. If it stands it could lead to the dismissal of charges against others in a multiyear insider-trading probe. In related news, the first rule of managing outside money again is you don&apos;t talk about managing outside money again. “There have been no internal discussions about any settlement,” said Mark Herr, a spokesman for Point72. “We have no plans to seek outside capital -- we enjoy being a family office.” He declined to comment on whether the firm has held any talks with the SEC about managing client money. Anyway, consider this 3 years max ban the first item on a long list of things not being discussed internally at the firm. Next up? Not discussing changing the name back to SAC and doing for vintage fleeces what Lebron did for Cavaliers jerseys circa 2010 with the name James on the back.